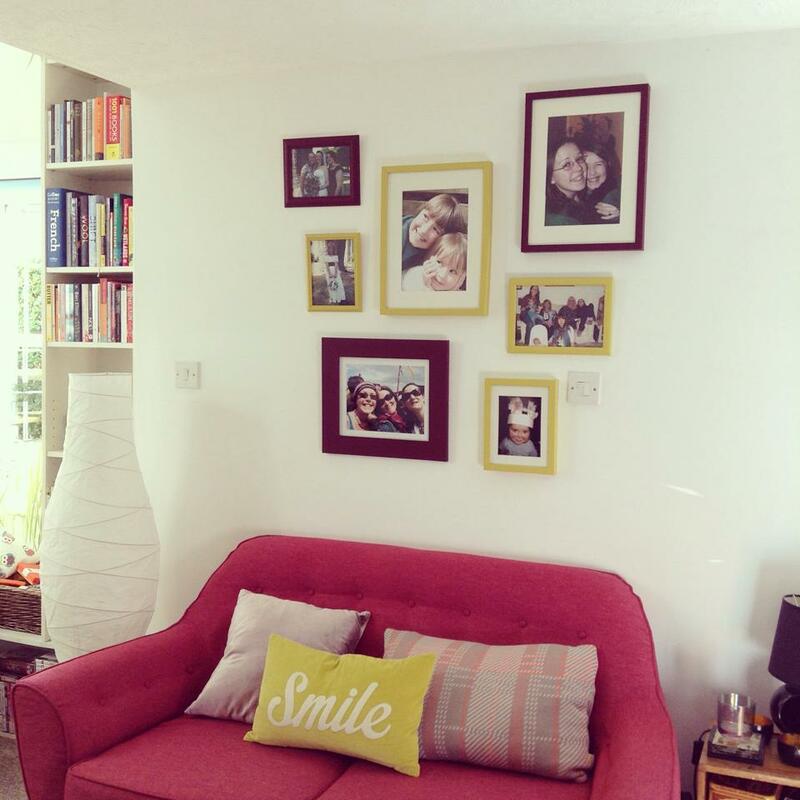 Today I want to introduce you to a very well known blogger, who has kindly offered to tell us more about her home. Please welcome Jo from Slummy Single Mummy. I’m sure you’ll love her witty, clever writing so do go and visit her blog. You can also find her hanging out on Twitter too. Most of my house is a shambles. Our stuff to space ratios are all wrong and the result is chaotic. “Where does this blanket go?” my boyfriend asked the other day when he was trying to tidy up the living room. “It doesn’t really have a home,” I said. The truth is that we just don’t have room for everything, especially not with my 12 year old daughter’s hoarding tendencies. Imagine one of those bric-a-brac shops where cheese graters sit on crowded shelves alongside novelty pencil sharpeners – that’s her bedroom. There are however a few places in my home that are little oases of calm, spots that I look towards when I feel overwhelmed by clutter and need my senses soothed. In tricky times I cling to these pockets of prettiness to reassure me that underneath everything there may be a stylish grown-up struggling to be seen. 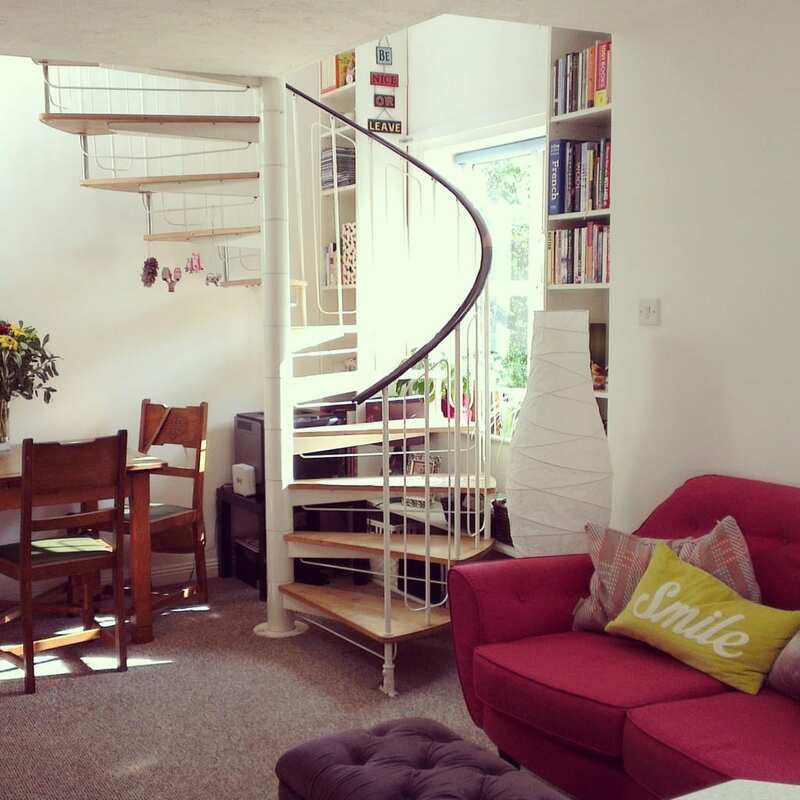 As a child I always dreamed of living somewhere with a spiral staircase and now, at last, all my dreams have come true! It is everything I ever hoped for and more. 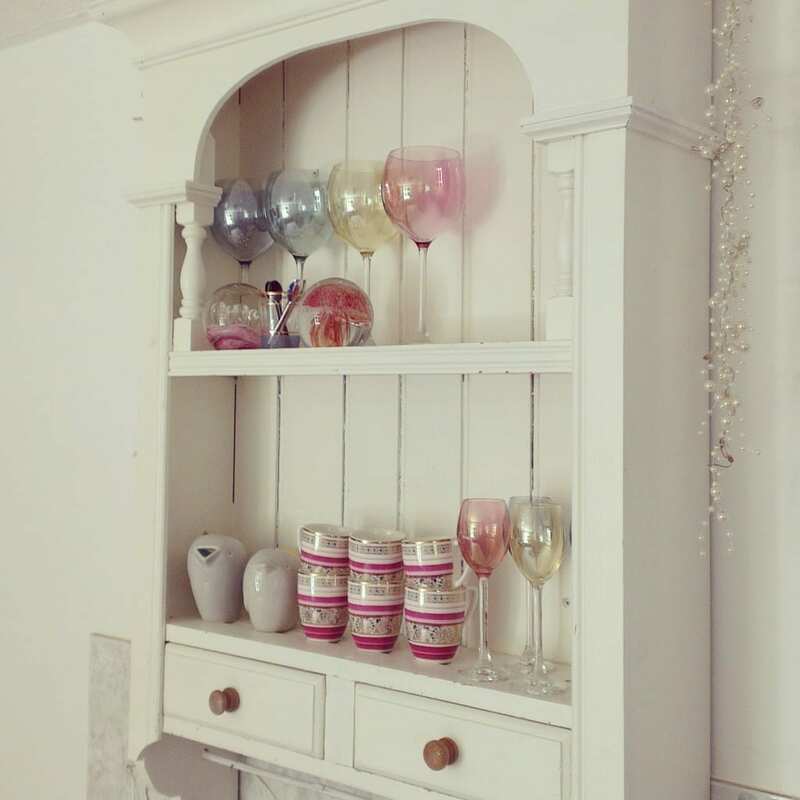 Possibly one of my proudest interiors achievements, I actually gathered old frames and painted them in chalk paints, all by myself, just like someone from a craft magazine! The floor of my car port is very colourful now too. When I split up with my boyfriend in 2014 I comforted myself by taking out a John Lewis credit card and buying pretty glasses and crockery. It’s basically an investment as I earn points on everything I spend and a year down the line I can definitely say that drinking a glass of wine out of something other than a £2 supermarket wine glass makes all the difference. Where are the places in your home that bring you the most pleasure? Love the spiral staircase Jo and those glasses really are pretty. I think at the moment it’s my garden, it so colourful and really springing to life now! there’s only two of us and i never feel like we have enough room. we do live in a small flat though. love that staircase!